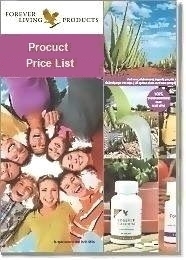 Forever Lycium Plus is a dietary supplement containing lycium and licorice known sources of antioxidants, bioflavonoids and other beneficial phytonutrients. Beneficial to eyesight and skin. Lycium is a fruit used in China for centuries, known as a "yin tonic" and has many traditional uses for maintaining good health. It has been shown to enhance the complexion and help maintain energy and good vision. Licorice is considered to be the most widely used herb in China. It is made up of over 150 different compounds, which have been shown to have many beneficial effects. Its most frequent use by far is as a complementary herb, with its main function being to bring out the best beneficial effects of other herbs. This makes it an ideal companion for lycium. 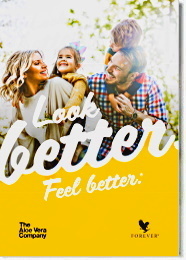 Licorice Flavonoid Extract is a concentrated form of licorice bioflavonoids. It is produced according to a process that removes most of the glycyrrhizin , an intensely sweet component of licorice that has been shown to produce undesirable side effects. Based on modern studies, licorice bioflavonoids are among the strongest antioxidants discovered to date. 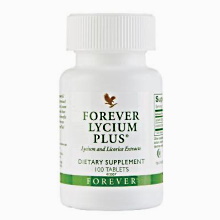 One tablet Forever Lycium Plus three times a day. Warning: Consult your doctor or health care professional before use if you have a medical condition.